I just purchased a ace 570 to plow my long driveway. 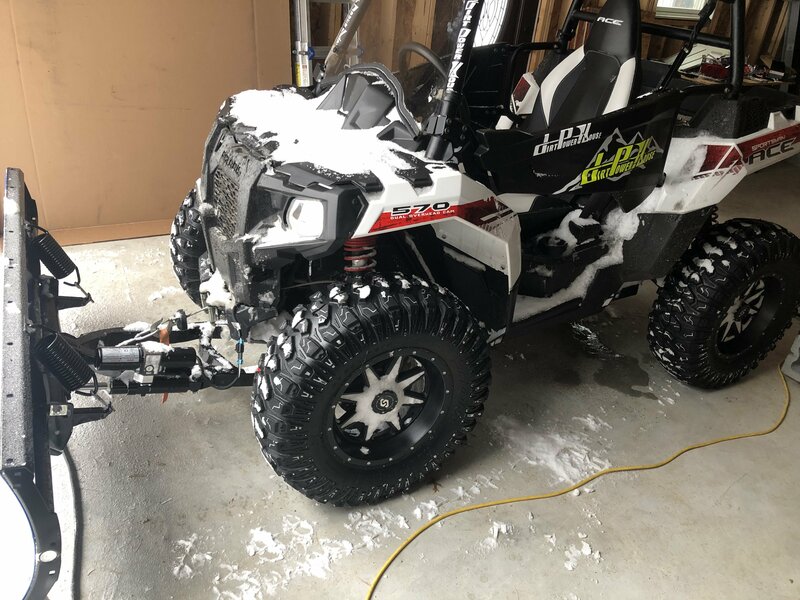 Added a plow kit with all the Polaris accessories and man I am very disappointed and could really use some advice from those who use theirs to plow. Currently the machine has a 2” lift with 28” x 10 x 14 Rock a billy tires and wheels. It gets very little traction to plow, I cannot turn when pushing show. I have the original tires and wheels, should I put them back on? I am not familiar with these tires as I am not really an avid user of the machine other than for a workhorse around the property. I never even drove it with the original tires. It came from the previous owner with this setup. Looking at your tires I'm surprised they don't dig the snow. But there are mud tires and snow tires. Snow tires are a different tread pattern and rubber compound for gripping. I've heard that Maxxis Ceros or Kanti Mongrels work good for plowing. 2015 Ace 570 and I still have my original tires and upgraded OEM Ace 2017 SP wheels. I use a 52” plow. It does well unless you get a lot of snow. For instance this last snow storm dropped 22” and I tried plowing up and down my driveway and ended up getting stuck twice. So I ended up plowing from side to side starting at the top and working down the driveway. Like anything you have to learn it’s limits and what you can and can’t do. Good Lord Papa my pickup and plow would have a hard time plowing 22". We had a forcast of 18"-24" and ended up with about 10" so we dodged a bullet. What part of NC are you in to get that kind of snow like Spruce Pine or Blow Rock ?? Back to the snow tires Copper weather master AT/2 I think they are called. I run cooper M&S snow tires on my plow truck but I think the AT/2 come in 14". 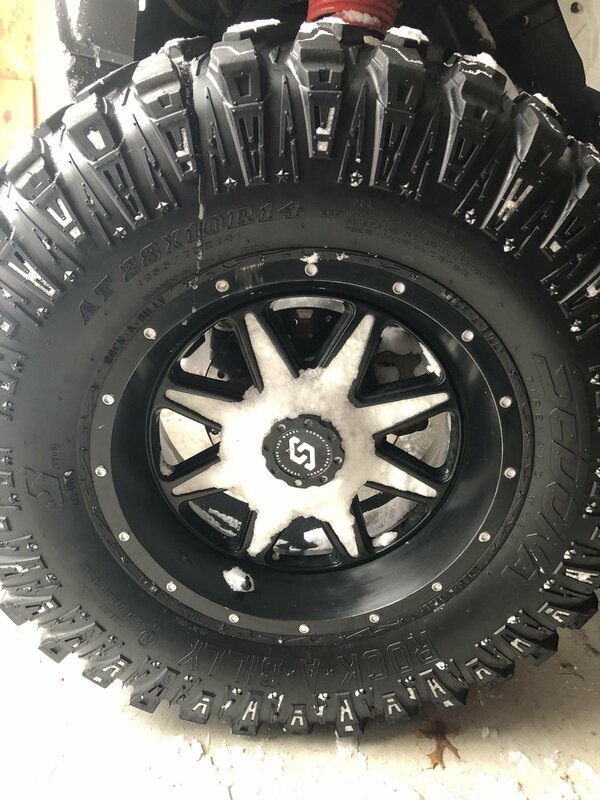 Thos are the true snow tires not a UTV tire like the Maxxis or Mongeral. Last edited by stainlessman; 01-21-2019 at 03:02 AM. This helps, I swapped to the oem tires and wheels and much better. I think with some true snow tires it would be great.